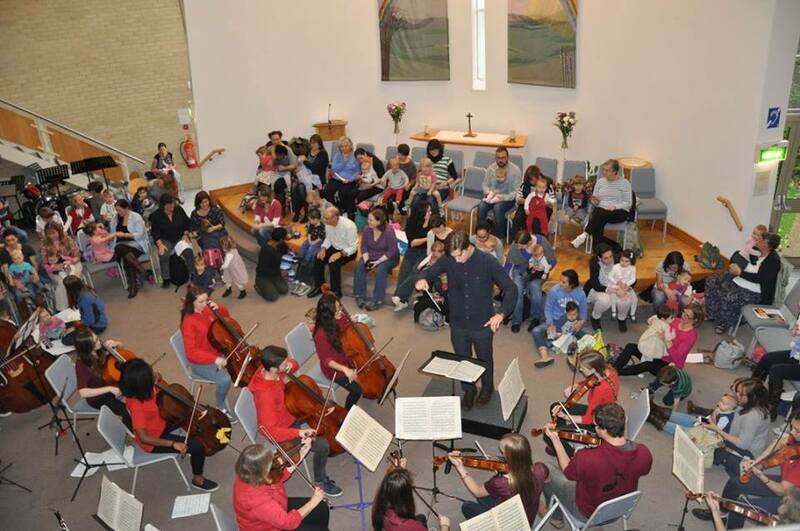 As one of the largest orchestras in Hampshire, we actively look for new ways to engage ourselves within the local community. Our outreach work is one of the largest and most successful of any university orchestra in the country. Part of this is by our offspring, the “Baby SUSO” project, that takes a smaller orchestra (a baby orchestra!) to local primary schools who would otherwise not have access to hear such a vast array of musical instruments. We really enjoyed performing our first Baby Prom in 2015 and we hope to return next year! To further increase our outreach success, we are currently looking for funding to put on a ‘young musician’s orchestral playing day’. This day would give the chance for primary school-aged musicians in Southampton to have a morning of coaching by SUSO section principals, and join SUSO in the afternoon to perform a concert. If you are interested in funding such an event, please do get in contact. There is always a strong uptake from the members of SUSO to volunteer their time for outreach projects, even among those who study subjects with a higher volume of contact hours such as medicine and engineering.